The t-shirts are being offered in White and Dark Heather Grey with two sleeve options short and long. We will ship order of 10 or more at no extra cost! Thank you for your ongoing support of Trinity HOPE! 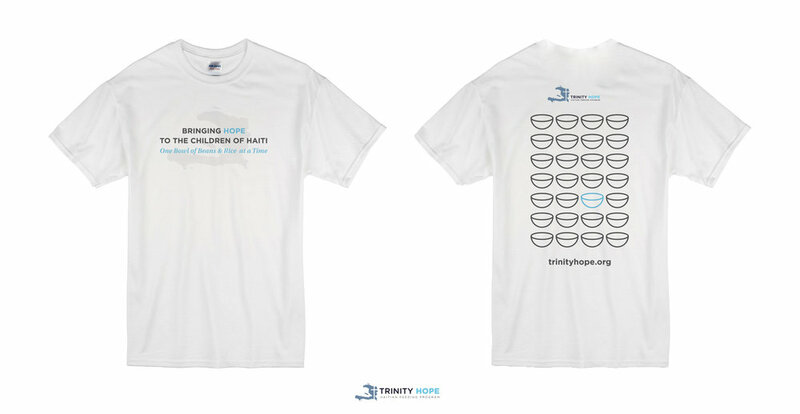 People wearing our shirts and answering questions about our ministry gets the word out about Trinity HOPE in ways and places that otherwise we would be unable to.